Limoncello is an Italian liqueur made with fresh lemon peel and alcohol, usually grain alcohol or vodka. The peels soak in the alcohol for several weeks, adding a notable lemon flavor. After straining, the infused alcohol is mixed with simple syrup and frozen in bottles, to be served ice cold as a digestive. Both imported and domestic versions of limoncello are sold in the United States, so check your local liquor or wine shop if you don’t have a homemade stash on hand. We made our first batches of limoncello and arancello (orange) this summer and we think they turned out pretty well, but that’s a post for another time. This simple cocktail uses limoncello, Cointreau, and champagne to create a bubbly citrus concoction. Serve with a twist of lemon for garnish. Happy New Year! In the cocktail shaker, combine the limoncello and Cointreau with ice. Shake a little and strain into the champagne flute. Top off with champagne, garnish, and serve. Ah…limoncello. Makes me remember our time in Sorrento this past summer — our favorite place in Italy. 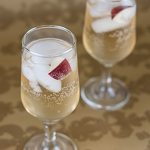 This is a great drink and I happen to have all the ingredients, so we’ll give this a try with our toasts tonight. Thanks for the cookie baking mania earlier this month, and Happy New Year to you and your family, Andrea. Cheers! Sounds so delicious! I may just have to give this recipe a go today. We’ve got limoncello, champagne and Grand Marnier – will that do? Kellypea, I’m just dying to visit that part of Italy to do some limoncello sampling. Ari, Happy New Year to you too! awesome, thank you! 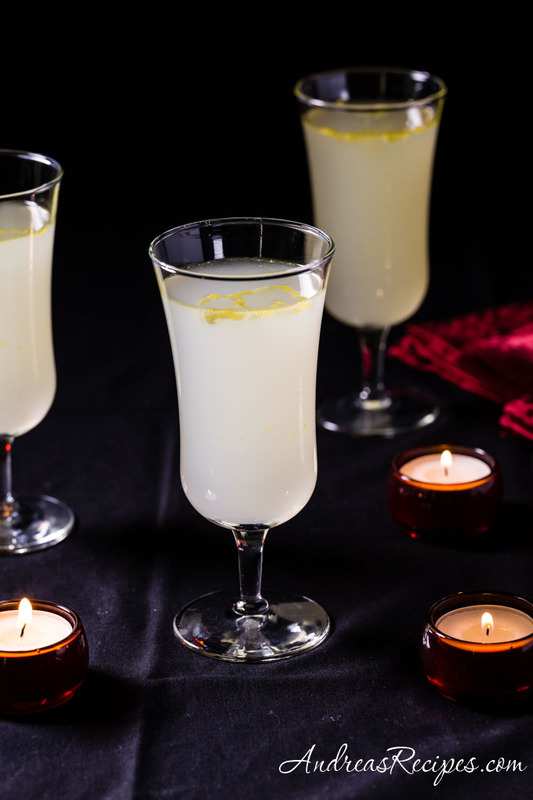 We have just enough Limoncello to make a couple of these tonight. Tomorrow, I start on two new batches of Limoncello for the new year. Andrea, I love limoncello and always forget about how easy it is to make. 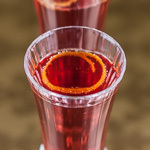 I loved all the cocktails and other good New Years food and drink ideas. Yum! I had limoncello for the first time on Christmas Day and thought it was great. I don’t love most after-dinner cordials but this is nice and light and refreshing. Great recipe! what a great way to use limoncello besides drinking it straight up! always looking for new ways to have a good drink. I never had one, this recipe has me way interested in trying one!